FORMER president Robert Mugabe, in an interview with the Zimbabwe Independent a fortnight ago, laid the blame of the Gukurahundi atrocities on the Zapu leadership which was then led by the late vice-president Joshua Nkomo, and Zipra, the party's military wing. An estimated 20 000 people are said to have been killed during Gukurahundi. This week, Zimbabwe Independent correspondent Nkululeko Sibanda (NS) caught up with one of Mugabe's accused persons, former Zipra intelligence supremo, Dumiso Dabengwa (DD), who now leads the revived opposition Zapu, and asked him to respond to Mugabe's assertions. He also shared his thoughts on President Emmerson Mnangagwa. NS: Former president Robert Mugabe says you and the late vice-president Joshua Nkomo and the Ndebele people caused the Gukurahundi atrocities in the Matabeleland and Midlands provinces. Did Zipra commanders have arms caches and were you planning a revolt? DD: I am disappointed that I am made to be answering to these allegations Mugabe makes when it is clear that the issue of the arms caches that we were charged under treason for by the Mugabe regime is all recorded and is part of a court record. We said it all at the material time. All those issues were recorded and how we responded to the charges. But in brief, before we got arrested, Nkomo said it in his book that Mugabe had discussed with him the issue of the arms caches and he had asked what they were for. And Nkomo said as far as he knew then, in every camp that was an assembly point, next to that camp was a cache that had arms in it. Both Zipra and Zanla combatants did not trust each other given what had happened after independence. So both sides had those arms caches. But the arms caches for which we were being charged were in big quantities and we as commanders of Zipra did not know about them. (David) Stannard (Central Intelligence Organisation director) told me that there were arms caches that had been sighted in Matabeleland in some Zipra properties. I told him I did not know about them because, truthfully, I did not know anything about them. I even went on to tell him that if they had indeed found these caches in Matabeleland and on Zipra properties, they were supposed to invite us to see these caches. Nothing happened after I said that. Exactly two weeks before, we got arrested. There was no discussion or anything. Our colleagues, the late Rex Nhongo (General Solomon Mujuru) and Mnangagwa were supposed to ask us ukuthi hawu madoda (gentlemen) you have some arms caches, what is happening? Can we discuss this issue and find out what is really happening. If they had done so, they were going to find out whatever they would have found out and made a decision to involve the police if ever there was something that warranted police investigations. But none of them did that. In fact, on the day Mnangagwa was supposed to come to Matabeleland, he came to Bulawayo on the same flight with Nkomo but never told Nkomo why he was coming down. He only had to make a statement on the arms caches when he had arrived here in Bulawayo. I state again that the court records for the case will show any interested person that we as Zipra commanders did not know anything about the caches and that is a fact. They will also be able to know that the caches were a plot by the CIO and the police special unit, and probably South Africa had a special interest in it, because they thought those caches belonged to the MK (Umkhonto Wesizwe). The CIO went to plant those caches and, from the court records, you will learn how the CIO directors in Bulawayo prevented us as the commanders from going to Gwayi to see these caches. NS: Mugabe, during the interview, talks about trains that came to Zimbabwe laden with arms of war. What were these ones meant for? DD: The trains that Mugabe speaks about that he said Kenneth Kaunda apologised for, again it's not true. This was weaponry that had come through using ships and was offloaded in Dar es-Salaam and it was on its way. When it got to Zambia that is when there was a question as to whether these weapons were to pass through there and come to Zimbabwe or whether they should be left on the other side. We insisted that that weaponry had been given to us by the Russians. We told them that we could not turn back that gift from the Russians. We also said that the weaponry would be used by the new Zimbabwe army that was going to be created at that time. Arrangements were made for the trains to come. I think it was just two trains that came. There were people who were responsible with receiving those trains and offloading them. There were also officials from Russia when all this was happening. The small weapons were taken to Gwayi and the big tanks were taken to Esigodini where the Rhodesians had said they were to be kept. They kept record of everything that had come through. The Rhodesians stayed there with their crews and there was no hiding of any weapons because everything was accounted for. NS: In the interview, Mugabe mentions 12 000 men that were trained as dissidents for deployment. In your recollection, is the number correct? DD: All the Zipra-trained personnel went to the assembly camps. It is from these camps that they then came back to integrate. During the integration, it was voluntary. We made it clear that those that wanted to join the Zimbabwe National Army could do so. The big number volunteered and there had been others who had been professionals in various spheres before the war, teachers for instance, people who worked in industry. They said no, the military is not the best option for us. We would rather go back and teach and follow our professions. And they did that. There was no question of substituting them with mujibhas that were trained at the camps. NS: The number of guerrillas who then became the causative for "government" to deploy the Fifth Brigade will always remain an issue. Can you tell us how many these were? DD: These numbers are a matter of public record. I will state again here that these so-called dissidents were far less than a hundred and these are the people who caused the Fifth Brigade to be unleashed on the Matabeleland and Midlands provinces. NS: Let's look at the issue of people that are said to have been killed by the Fifth Brigade. Do you concur with the sentiment that 20 000 people were killed during the Gukurahundi era? DD: Again, this is an issue that I am unable to respond to in an emphatic manner. I was at Chikurubi Prison during that period of time when Gukurahundi was most effective. Those figures come from the reports by the Catholic Commission for Justice and Peace (CCJP) that they produced at the time. Anyone who wants to dispute the figures should do so through the CCJP because they are the ones who did the report and they had their own way of arriving at these statistics. NS: In the interview we had with Mugabe, he blamed the Ndebeles, Zapu, Joshua Nkomo, and yourself. He does not accept blame. Would you say his hands are clean at all on the Gukurahundi mess? DD: His hands can never be clean. His lieutenants, (President Emmerson) Mnangagwa and (Retired Air Marshall Perence) Shiri have all said they were acting under instructions from above them. The only person who was above them is Robert Mugabe. He should have listened to the demands that the people have been making throughout since the end of those atrocities. NS: What were those demands, if I may ask? DD: The people simply wanted him to come out in the open and acknowledge what had happened. It is at that time that he should have come out in the open and made those allegations he is making today while Nkomo was alive and state clearly that it was Nkomo who caused him to do what he did (unleashing the Fifth Brigade). He did not need to wait after Nkomo had died, and at Nkomo's funeral to say it was a moment of madness. Even after the Unity Accord had been signed in 1987, he should have come out and apologised. It is a fact commissions were set up to look at this situation. The Chihambakwe commission came out with a very huge report and the Dumbutshena Commission also came out with its report. These two reports have not been made public even up to this day. What is there to hide and why hide it? These are questions he (Mugabe) should be asked as to why did he not publish those two reports. NS: President Emmerson Mnangagwa argues, according to reports, that he was taking orders from above him on the Fifth Brigade saga. Can this absolve him of blame on this matter at all? DD: I don't know. But I am saying this is what he himself said when he was being implicated in those atrocities. He said, in his own words, he was taking instructions. He said the actual killing was done under the command of the Fifth Brigade which in this case was under Shiri. And he said his role was that of an intelligence officer, which means he was there to point out which people were to be killed first. He made statements on the Gukurahundi. I remember one of the statements he made was in Victoria Falls where he said Zapu and the people of Matabeleland were like cockroaches and the best way to kill them was to apply DDT. How he can plead innocence now to those statements which are there in the press is something I cannot imagine. NS: There have been calls for the compensation of Gukurahundi victims. What sort of compensation do you think can be made to those that lost relatives during that era? DD: Again, it's a very difficult question to respond to. I think it will be the onus of the families of those victims of Gukurahundi who must come out and say what compensation they feel they need to get from government to cover for the losses of their loved ones. The National Peace and Reconciliation Commission (NPRC) should be the ones doing all these enquiries but I am not sure whether they will succeed. NS: Let's look now at the current state of politics in Zimbabwe. We have a situation where there will be more than 100 parties taking part in the elections this year. What do you make of this? DD: I am very suspicious of who is pushing that high number of people to form political parties all of whom want to participate in this election. It raises questions as to what the objective of doing this would be except to divide and split the vote as much as possible. 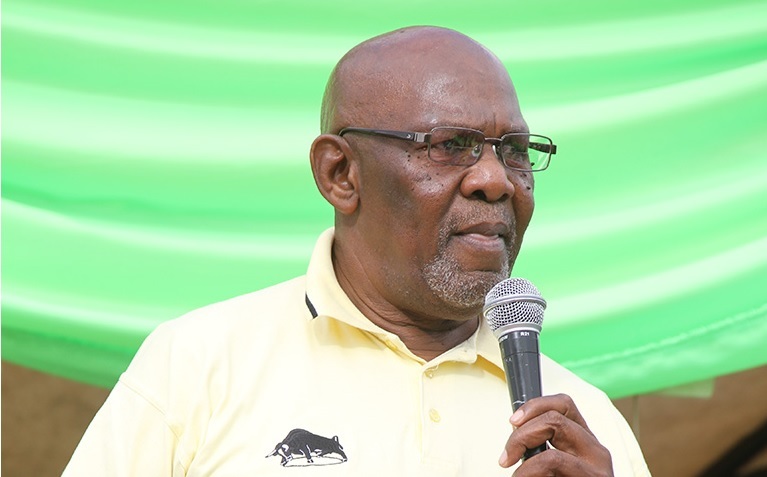 Zapu, over the last few months, has been involved in discussions with political formations and alliances with a view of coming up with one strong opposition that will contest these elections. Our main aim has been to ensure that candidates in this coalition do not compete against each other. That exercise continues. We are talking to other alliances and coalitions as well so that we find common ground. NS: How do you rate the chances of that coalition or alliance winning against Zanu-PF? DD: If players in the opposition movement were to come together under one alliance or coalition, I am convinced Zanu-PF would have very little chance or no chance at all of winning that election. They could never win that election. NS: Last year in November, you predicted that Zimbabwe was on the brink of writing its own piece of history by witnessing a bloodless coup. How did that intuition come about? DD: My response at that time was informed by the situation on the ground. I said that with the way things were at the time, where there was dissatisfaction among our people, where there were queues for cash at the banks, and the dissatisfaction in the army where even their rations had been cut by then, everyone in Zimbabwe was dissatisfied with the way things were going. I said I would not be surprised if a coup came about. I then said let us pray that it is a bloodless coup. NS: Some people allege you were approached by Mnangagwa's emissaries to join the government alongside the late MDC-T leader Morgan Tsvangirai and you refused. Can you tell us why? DD: Those approaches came my way on so many fronts. First, it was emissaries from Mugabe. After their efforts failed, I got some other emissaries from Mnangagwa following the stepping down of Mugabe from office. I gave them the same conditions that, first and foremost, I was not going in there to join and become a member of Zanu-PF. I said I would be representing Zapu in that arrangement to negotiate for roles other members of my party would play in that set-up. Secondly, I made a demand that they be prepared to implement the provision of devolution as enshrined in the constitution. And thirdly, it was that we get back the properties of Zapu and Zipra that the government had confiscated, that they be given back to us before I could accede to their request. That was it. NS: How do you rate Mnangagwa's ability to take Zimbabwe out of the socio-economic and political quagmire that we are in now? DD: He has been in government for the last 38 years and now he is heading for 40 years. Surely by now and, with the amount of time spent in government, he should have started showing signs of what leader he would be and this would have enabled people to judge what type of leader he would be. NS: You are not positive in your assessment of his abilities. Why so? DD: I am saying it's not for me to judge. Neither do I have an opinion. But I am saying if people want to believe or trust that somebody is able to deliver what they want, they must have seen signs in that person. And 38 years is not a short time to show people that you can deliver certain things. He has been part of the government that has been suppressing the people of Zimbabwe. And after 38 years in that government, I don't believe that he has changed from what he used to be when he was in government. He has spent more than half of his life in government and to expect that all of a sudden he turns around and does what the people demonstrated for, that they want a new Zimbabwe and a fresh start, is very difficult to expect. I have not seen a fresh start so far and I don't see a new Zimbabwe materialise immediately. NS: In closing, are you still going to be the leader of your party in the next five to 10 years? DD: Zapu as a party has a constitution that simply says you can be a president for two terms of five years each, which is 10 years. I was elected into office in 2010 and my two terms end in 2020. I have given notice to Zapu, my party, that come 2020 I shall be retiring. NS: So, after retiring, are you going to be involved in politics at any point or that will effectively mean the end of the DD footprint? DD: I would have retired. I have already established space and set up a foundation which has a set of goals and targets to do certain things by a particular period. And it is that foundation that I will occupy myself with. It is through that foundation that I will be able to publish my memoirs.